We like the elegant and subtle lines and proportions of this Shaker influenced table. 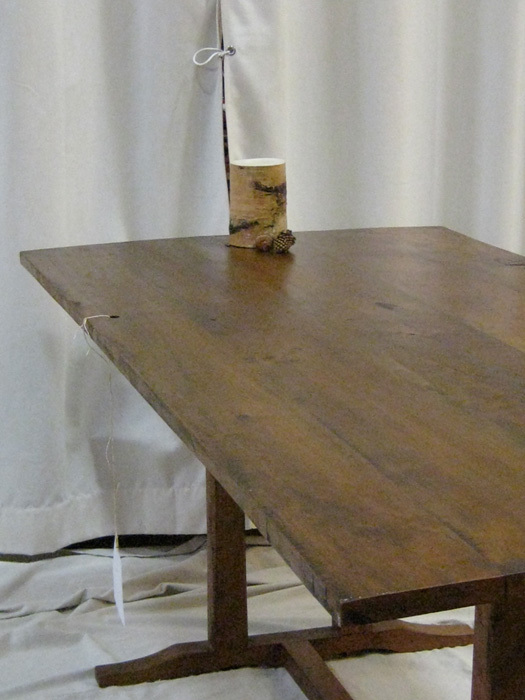 Unorthodoxly, we have retained sawmill marks on the table-top and base to lend color contrast. At six feet in length, this table seats six with space to spare, and can accommodate eight people. 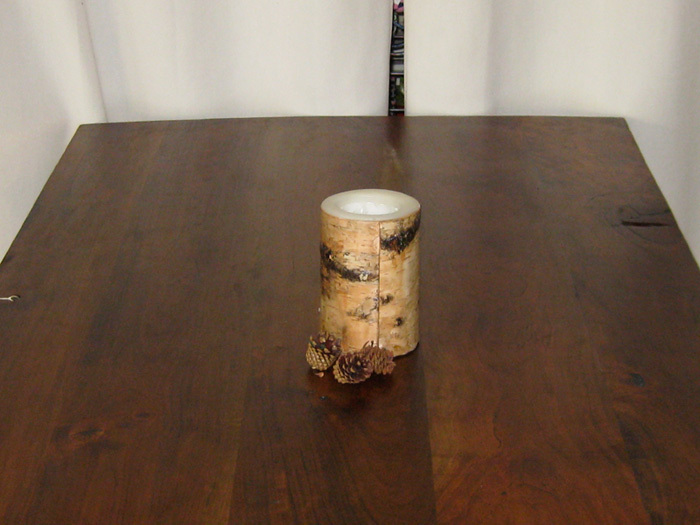 The hand-rubbed Danish Oil finish will stand up to everyday use, and can be easily refinished. 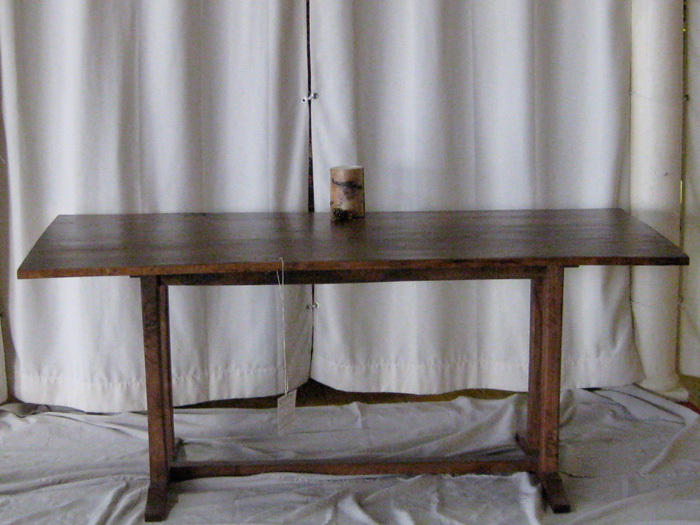 This table and the Cherry Shaker Style Bench would be equally at home in a rustic or more modern setting. Purchase the bench and table together and take $200 off the total purchase price (depending on availability of both pieces).